Macedonia's former transportation minister Mile Janakieski is expected to testify later today before the parliamentary commission probing mass illegal wiretapping. 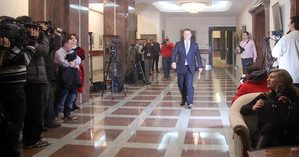 Prime Minister Nikola Gruevski testifies yesterday behind closed doors. He told journalists he was innocent. 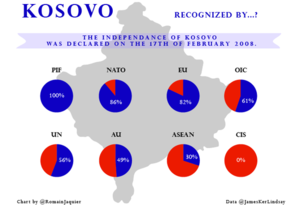 Normalization abnormalizes wp.me/p1c8fI-6yJ So argue Drilon Gashi and Ard Morina about #Kosovo's relationship to #Serbia. 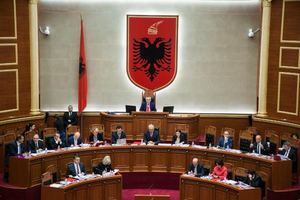 Albania's ruling and opposition parties gave the green light on Monday evening to constitutional changes allowing for a new law that will 'decriminalise politics' by stopping people with criminal convictions from holding public office. MPs will vote on the decree on Thursday and the law is expected to be in force from January 2016. The European Commission will adopt its decision to form a European Border and Coast Guard today, a new EU agency aimed at tackling organised crime and terrorism threats, which also has permission to secure the EU's outer borders even if countries oppose it. 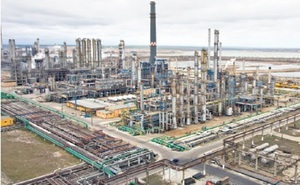 Private Chinese firm CEFC will buy a 51% share of KMG International, a unit of Kazakhstan’s state oil and gas company, which also owns Romania's biggest oil refinery, Petromidia. Montenegro is expecting to preserve its historically close relations with Moscow in case of its accession to NATO, there will be no change in the travel regime, Montenegrin Prime Minister Milo Djukanovic said. "Russians gladly visit NATO countries: Spain, Italy, France, Greece and others. Our neighbor, Albania, has also become a NATO member, and Russians do not need visas to visit [the country]. Why should Montenegro be any different?" Djukanovic said in an interview published by the Russian newspaper Kommersant today. 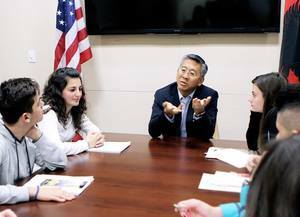 US Ambassador to Albania Donald Lu will take part in a public Facebook chat at 3:30pm today on the topic of corruption, following his criticisms yesterday about its prevalence in Albania's justice system. Croatian kingmaker party MOST will continue negotiations with centre-right Patriotic Coalition on forming a national unity government with the country's three leading parties and a non-party PM at its helm after it showed openness to the proposals. Centre-right coalition Croatia Grows canned the idea, but MOST MPs have decided to "keep the door open" for the coalition to reconsider. Croatian President Kolinda Grabar Kitarovic will make a special announcement at 5:30pm today after she has met with all parties and individual MPs following the third round of consultations today on awarding a mandate to form a new government. The president said during the first two rounds of talks that if a none of the party leaders receive a majority of support during the negotiations, she will call for new elections and form a temporary non-party government. 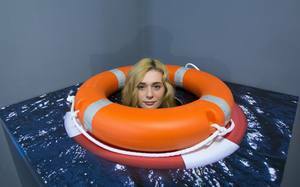 In the scope of its 69th anniversary, UNICEF has opened the 'Museum of Reality', a special exhibition at the Museum of Illusions in Zagreb, Croatia, that uses optical tricks to show visitors the hardships refugee, internally displaced and other endangered children face. Around 1,000 shepherds have flocked past police into Bucharest's parliament and are currently staging a protest in the building's courtyard against a law on the number of sheepdogs they can use and grazing regulations during winter. 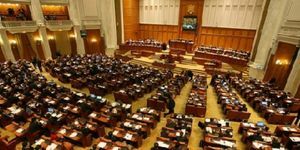 A total ban on the use of tobacco in enclosed public spaces across Romania has been imposed by the Romanian parliament today. This is part of the government's efforts to strengthen fire regulations after the deadly nightclub blaze in Bucharest on October 30, which claimed 62 lives. Bosnia's Commission on Defence and Security said SIPA "operated in full respect of the law" and in cooperation with Republika Srpska's Ministry of Interior in the lead up to the arrest of five war crimes suspects. After their detention, the Serb-dominated entity suspended cooperation with Bosnia's state-level authorities. Foreign Ministry spokeswoman Maria Zakharova said on Wednesday. 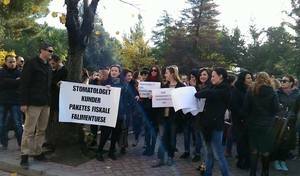 Rally in Montenegro on Saturday demanded NATO referendum | Photo:BIRN. 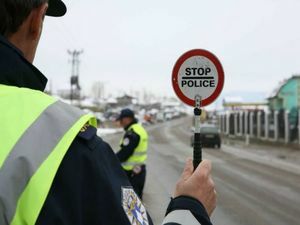 The Kosovo border police received an order at midnight yesterday to deny entry to all persons with Serbian IDs that reside in the territory of Kosovo. 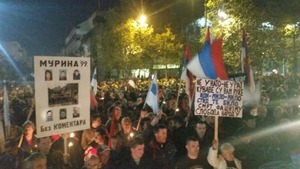 Director of the Serbian government's Office for Kosovo-Metohija (KiM) Marko Djuric has said there is speculation about the order, but the situation at the crossings is being watched closely. Serbian police have cut a large weapons-trafficking chain that leads to France and arrested two Serb nationals in Novi Sad, Interior Minister Nebojsa Stefanovic said today. The decision by Pristina authorities to block entry to Kosovo to all persons with Serbian IDs that reside in the territory has been suspended, said the Serbian Deputy Interior Minister Milan Radojevic. 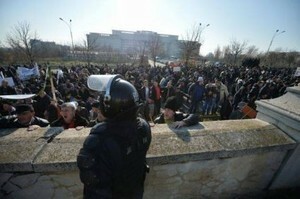 He added that Serbian police at all crossings between Kosovo and central Serbia are informed about the new situation. 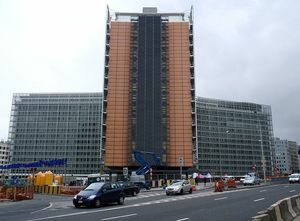 The European Parliament voted yesterday evening to suspend special trade measures with Bosnia and Herzegovina as of January 1 in response to the refusal of Bosnian authorities to adapt their Stabilisation and Association Agreement to include preferential trade connections with Croatia, as granted by the CEFTA. 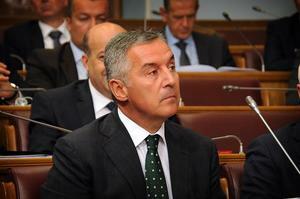 The decision will affect access of Bosnian products to the EU market without any import fee among other covenants. Croatian President Kolinda Grabar Kitarovic said she will not let a political stalemate "cause unforeseeable negative consequences for the stability of the state," announcing a new round of consultations for next Tuesday after none of the country's political parties managed to secure the majority support of the parliament to form a new government yet again. 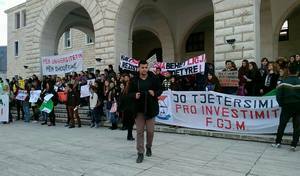 Student activists in Tirana are heading to the government building to stage another protest against Albania's new higher education law, which came into affect in September. Horoscopes, peace movements, communism and tarot cards lead to pedophilia, claims a controversial ad set up by Catholic priest Ivica Bedrik in Zagreb. Bedrik made the ad because "all kinds of things get on people's minds when they distance themselves from God," he told Croatian news website Index. Romania's parliament overwhelmingly approved the state budget for 2016 today with 309 votes in favour and 13 votes cast against. Under European standards, Romania will target a budget deficit equivalent to 2.8% GDP next year, up from 1.8% in 2015. 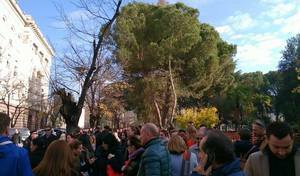 Albanian dentists, lawyers, architects and other professionals have amassed in front of the parliament building in Tirana to protest against a new law - expected to be passed this month - that will see their social security contributions increased, claiming they will suffer financial struggles as a result. Since June this year, 341,920 refugees and migrants have entered Macedonia. 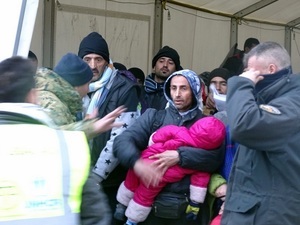 Of them, only 83 have requested asylum while the others only transited through the country on their way to Western Europe, the Macedonian Interior Ministry said. Montenegro Prime Minister Milo Djukanovic says his country seeks membership in NATO and the European Union "because we follow our interests" and that he is surprised by Moscow's angry reaction to Podgorica's westward pivot. In an interview to RFE/RL, Djukanovic also said he believes Moscow's reaction is more about Russia-NATO relations than about Montenegro itself. The EU adopted the new cross-border cooperation programme for Italy, Montenegro and Albania, worth nearly 93 million euros. 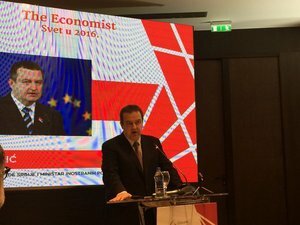 "This new cross-border cooperation programme contributes to pave the way for smart and sustainable economic development of the beneficiary area, which includes two candidate countries (Albania and Montenegro)," EU Commissioner Johannes Hahn, said. 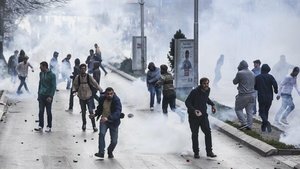 Macedonian Prime Minister Nikola Gruevski denied telling the UK Guardian newspaper that he would be open to changing his country's name to end a 24-year dispute with Greece, saying it was journalistic commentary in his press statement today. 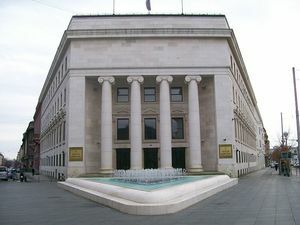 Croatian National Bank, HNB, estimated the country's GDP growth to be 1.7 per cent in 2015 and 1.8 per cent in 2016 in its forecasts published today. These latest figures are more optimistic than HNB's earlier estimates of 1.2 per cent and 1.7 per cent for 2015 and 2016 respectively. Welcome #Montenegro #SAPC delegation #EP. 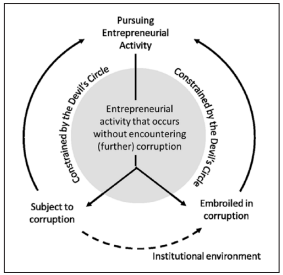 Leading the integration process also means a lot of responsibility. Good luck in reform process. 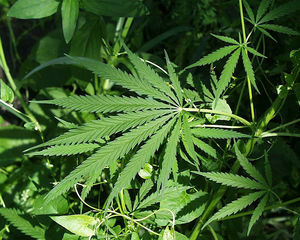 Macedonia's health ministry will submit a draft law for “controlled and legal” medicinal use of cannabis products and said it will allow hemp to be grown locally for the purpose. The former president of the state union of Serbia and Montenegro and senior Montenegrin official, Svetozar Marovic, was arrested this morning by order of the Special Prosecutor's Office for organized crime, local media report.